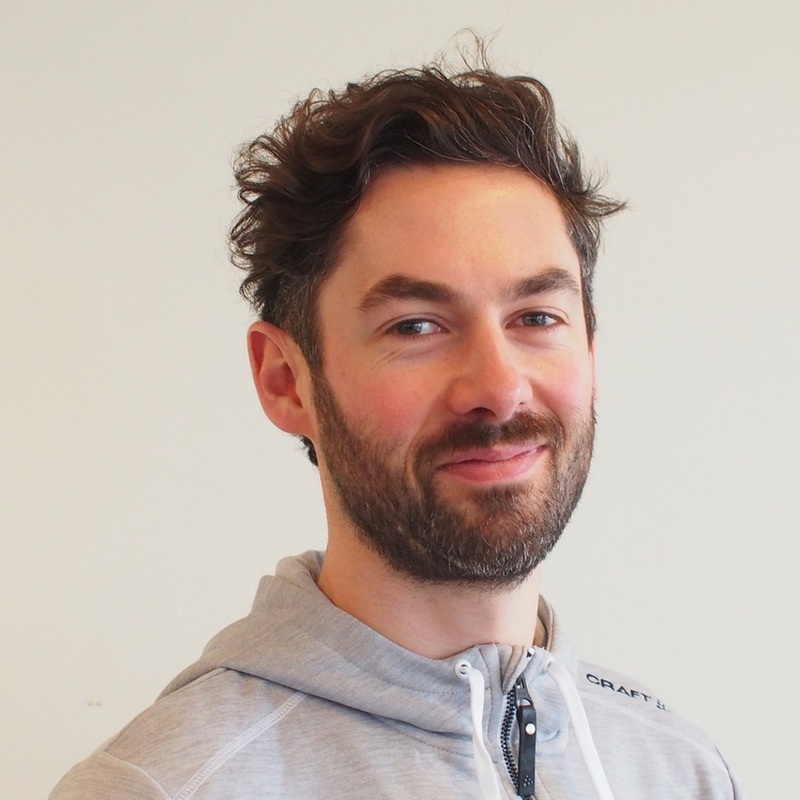 Hi, I’m James, the CEO of Reach Physio. The Load Threshold Barometer has been one of the most useful tools to help me better understand the physical factors that cause neck pain; and how to manage, overcome and prevent it. I especially want to share this simple and practical tool because it’s helping me change the way I understand my body and to keep as active as possible, even during times of injury or pain. Your load threshold is defined as the amount of load you can tolerate on a certain body part or area, before the point of overuse is reached and before pain or other symptoms in that body part begin. When we talk about load for this subject, we refer to overuse over a period of time, and not a sudden traumatic injury such as a break or ankle sprain. Over the years I had increased my load threshold above the regular weekly activities shown above, so every week I was doing upper and lower body strength training as well as running an occasional 5-8k run and this was causing no problems for my body. The problem started when I decided to enter an ultra marathon (as so many poor decisions are made, it was over a cider or two with friends). After a month of running 13 miles every weekend, the pain started in my achilles. After two months, I had to stop running and pull out of the race altogether. By exceeding my load threshold too far and too often, I injured myself and so, my threshold suddenly dropped - as can be seen in the illustration below. I went from being able to climb stairs, cycle to work, do exercises and more, to barely being able to walk without severe pain. Loading specific muscle tissue too often at, or just above their limit, without adequate time for your body to repair. For example, if you do CrossFit, Gymnastics or Yoga and you move from practicing handstands once a week to suddenly doing them every day. With both examples you are increasing your risk of injury in the neck but also the shoulder. I do want to note that increasing the load on your body tissues (muscles and joints), above what they are used to, is also the way you progress and get stronger. The key here is to do so slowly and gradually and to leave enough rest time so they can adapt and strengthen. 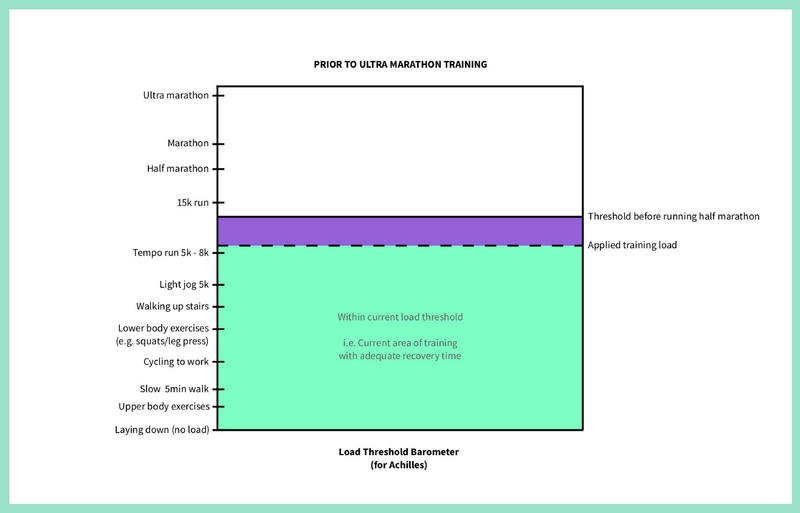 Having the Barometer in mind and a good idea of where your load threshold currently is, will help you make decisions on a daily basis with regards to how far you can push your body, when both recovering and preventing injury. If you currently have pain or injury, you need to work out where your threshold has dropped to. You can do this by visiting a good, recommended physio, using the Reach Physio App, or maybe you already have a good understanding of your body and can work it out yourself - either way there is often some trial and error involved in working out exactly where you are. Now that your everyday life is not going to hold you back, it’s important to be doing specific exercises prescribed by a physio. These exercises should be just around your current load tolerance. Sometimes mild pain can be accepted, as long as it goes away quickly after finishing the session and as long as you can feel your body adapting to that activity over time, meaning that after a few sessions it doesn't hurt anymore and you feel that you’re able to withstand that specific load. From there, your physio can help you with progressing the exercises and your physical activities. 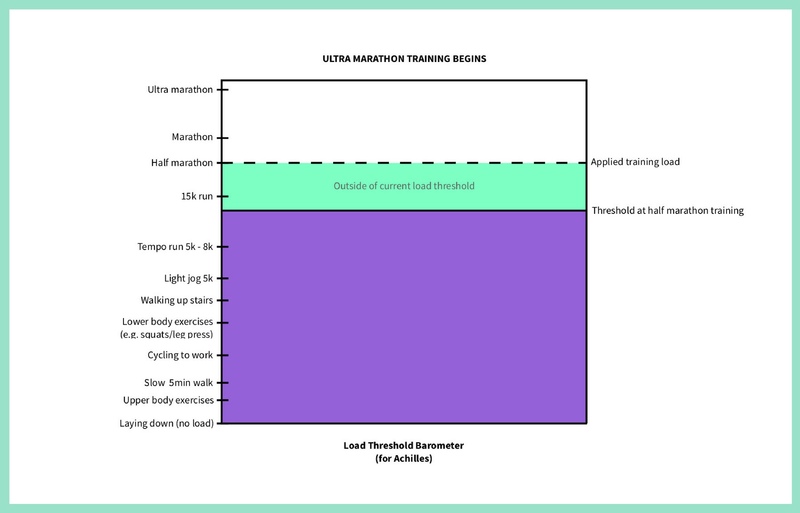 The Load Threshold Barometer can be utilised for injury prevention in the same way that it can be used for training or recovery. Firstly, work out where your current load threshold is, then set your goal level on the barometer. 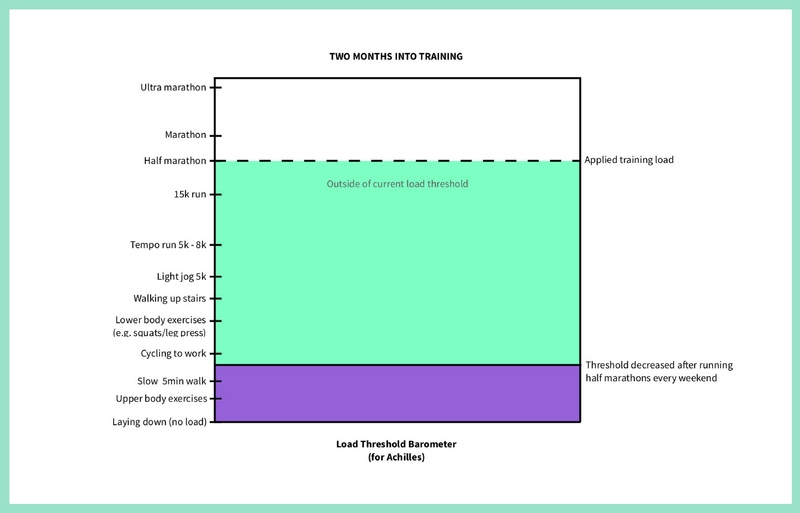 By planning a course to gradually increase your threshold from your current level up to your goal level, you should be able to reach your goal without getting injured along the way. Perhaps a busy period at work and two weeks holiday mean you stop running or going to the gym for over a month. When you start back up, be aware that your pain/load threshold will have reduced a bit, so you should start with slightly less activity than you did before and build back up over a few weeks. 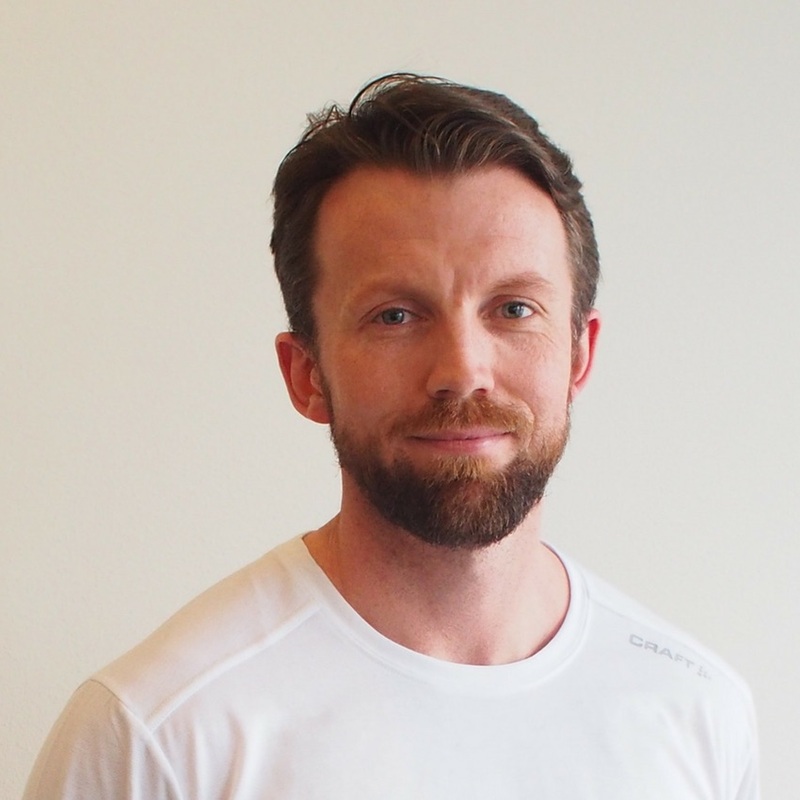 Hopefully, thanks to Andreas’ explanation, you now have a much better understanding of how the load you put on your body can be a factor in the cause of your neck pain, and pain in general - as it’s relevant to all body areas. 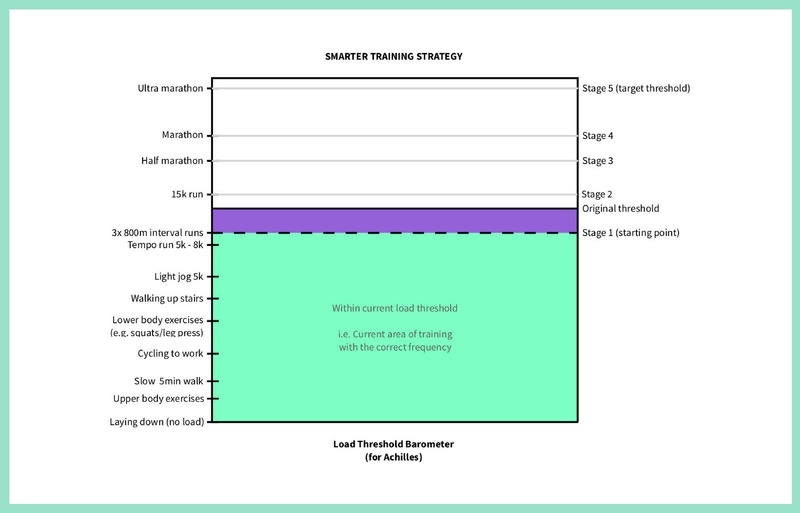 As I explained at the start, like me you can use the Load Threshold Barometer as a regular tool to assess where your current load threshold is and how you can regress and progress your activities to recover from, manage and prevent pain and injury. If you’re suffering from pain and want help with getting your threshold back to where it was, or even higher, then check out our Reach Physio App.